Igor Krasnov, current grantee of the SIR 2018-19 program and Visiting Scholar 2008-09 alumnus, associate professor at Karelian State Pedagogical Academy (Petrozavodsk), has been active both at his host of Saint Martin's University (SMU) and the community of Lacey, WA, that the university is located in. 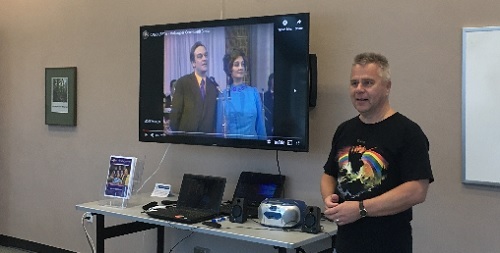 On October 31, 2018, Igor made a presentation at the Olympia Senior Center about rock'n'roll music in the Soviet Union and in post-Soviet times, which was a great success with the local audience and spurred a lot of questions. Later that week, on November 2, 2018, Igor also made a presentation about student and faculty exchange programs between the USA and Russia at the panel discussion "Experiential Learning in a Globalized World", as part of the 30th anniversary of partnership between SMU and Reitaku University in Japan. Ekaterina Krasikova, FFDP 2015-16 alumna, Deputy Director and teacher at the "Language Force" education centre (Mikhaylovsk, Stavropol region), was selected by the Asia-Pasific Economic Cooperation to represent Russian Federation with her project "Smart Moms". 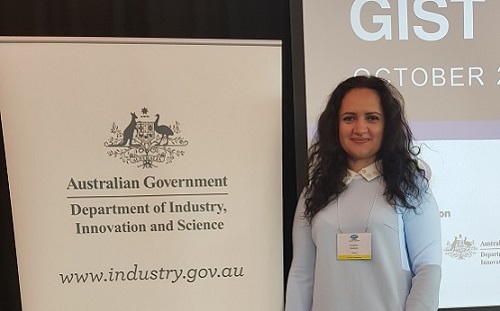 Ekaterina took part in the GIST APEC Australia Startup Training in Brisbane on October 22-25, 2018. As part of a pre-workshop event for women-led startups, all female team members attended a special program to set the stage for the week with leaders in the field of inclusive entrepreneurship, during which they had opportunities to share their experiences as start-up founders. Ekaterina also used her presence there to speak about her Fulbright experience and emphasize the wide availability of Fulbright programs to women. 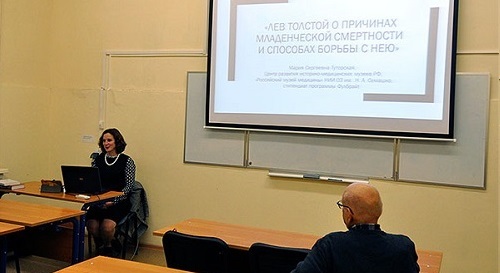 Maria Tutorskaya, FFDP 2015-16 alumna, Deputy Head of the methodology department at the Centre for Development of Museums of History and Medicine of Russian Federation and exhibition specialist of the Russian Medicine Museum (Moscow), participated in the seminar "Demographic Challenges of XXI" by the HSE Demography Institute on October 24, 2018. Maria presented her report "Leo Tolstoy: On Causes of Infant Mortality and How to Combat It". Ekaterina Pechenkova, FFDP 2007-08 alumna, senior expert at the Research Institute of Neuropsychology of Speech and Writing (Moscow), was part of the team behind a newly published research "Brain Tissue–Volume Changes in Cosmonauts". Their article on the subject was published in the top-rated The New England Journal of Medicine. Valeriy Yumaguzin, FFDP 2017-18 alumnus, senior lecturer and junior researcher at HSE Institute of Demography (Moscow), used his extensive experience in course design acquired at University of Pennsylvania and shared it during a series of guest seminars in his alma mater, Bashkir State University in Ufa. The seminars were supported by the Fulbright Small Grants program and took place on September 19-21, 2018. In his talks Valeriy focused on the project-based approach in education, organizational format of training, the advantages of online training, the formative, summative and mutual assessment, and the practice of drawing up the syllabus of the discipline. Both lecturers from different faculties and students attended the seminars. Valeriy also held an open lecture on demography for students and teachers of the faculty of geography and the faculty of philosophy and sociology. Photos contributed by I. Krasnov, V. Yumaguzin and E. Krasikova.